A successful organic garden prevents pest and disease infiltration rather than eliminating them once they are established. The best offense really is a good defense. By starting with the good foundation of healthy soil, we can prevent many diseases and ensure prolific results. Not all plants need the same kind of soil, though, so it’s important to learn how to use organic soil amendments to perfect composition and pH levels. Everything in nature can be measured for its pH levels. The scale runs from 0-12, and a perfectly balanced substance will have a pH level of 7. Anything below 7 is increasingly acidic the lower the number falls, and above 7 becomes increasingly alkaline. You can get test strips from your local nursery or extension office to see where your soil falls. Different plants need different levels of acidity. To amend the soil in a specific area, you can add organic matter that is either acidic or alkaline along with the mulch or compost that you include around that plant. Be sure you know what your planned plants need and try to group them accordingly. Acidifying soil. If you have more alkaline soil but are growing plants that need some acidity, you’ll want to amend the soil with acidic organic substances. You can’t just pile it on, though – be certain of your pH via testing, and then apply amendments only as required. Don’t assume you know what the pH is – too much acidifying material can damage your plants. Also, consider testing the water so that you know how to adjust for it. Nitrogen fertilizers can be excellent for acidification, as is sphagnum peat moss, though there are sustainability concerns for its harvesting methods. Pine needles have long been believed to acidify the soil, but because it is the green needles that produce acid, brown needles may not be strong enough to reach the root level where the plants obtain nutrients. Without using a strong amendment, ammonia-containing fertilizers may be the best option. Azaleas, laurels, Lily-of-the-valley, berries, and potatoes all thrive in lower pH levels. Alkalizing soil. Sometimes, the soil is already acidic, which is problematic for most plants. Water is typically going to be more alkaline or neutral, so anything that helps the soil retain water will help with alkalinity. Fireplace ashes, garden lime, and Epsom salts can help to increase alkalinity in the soil. 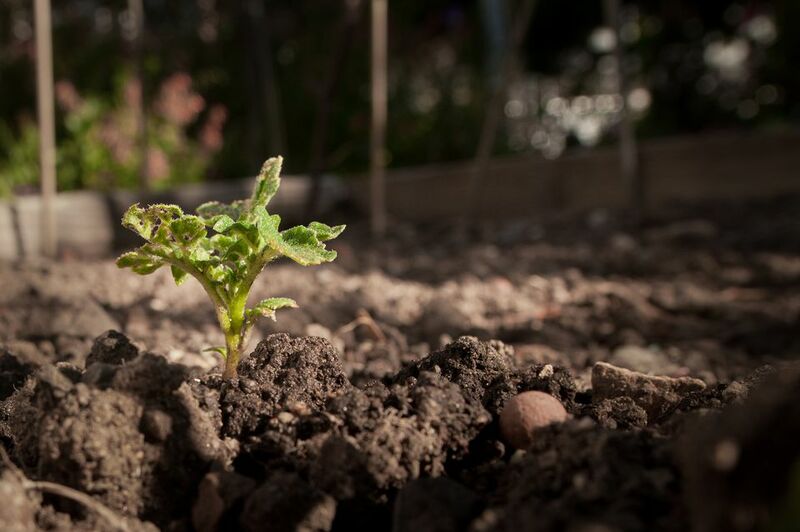 The structure of the soil is a bit more universal, as most plants simply need soil that is well-nourished and will retain just enough moisture while draining away the rest. Building a raised bed and starting over can help you start with good soil composition without spending too much effort digging deep and restructuring the soil. No-dig gardens are also excellent for creating high-quality, high-nutrient soil with minimal effort. Amending your current soil is possible, but will take time. Loosening soil or retaining moisture. Ground leaves from fall raking make excellent soil amendment for any soil. Dig them in well and allow them to decompose. Straw and wood chips can break up heavy clay soil. Peat is good for sand, but watch your acidity! Adding nutrients. Alfalfa meal can add nitrogen, phosphorous, and potassium to the soil. Worm castings are excellent for nitrogen, as are ground cover crops. Crushed eggshells and Epsom salt add calcium. In any situation, a good compost will be beneficial for soil composition and nutrients. Layer it on in a no-dig method or work it into the soil periodically.